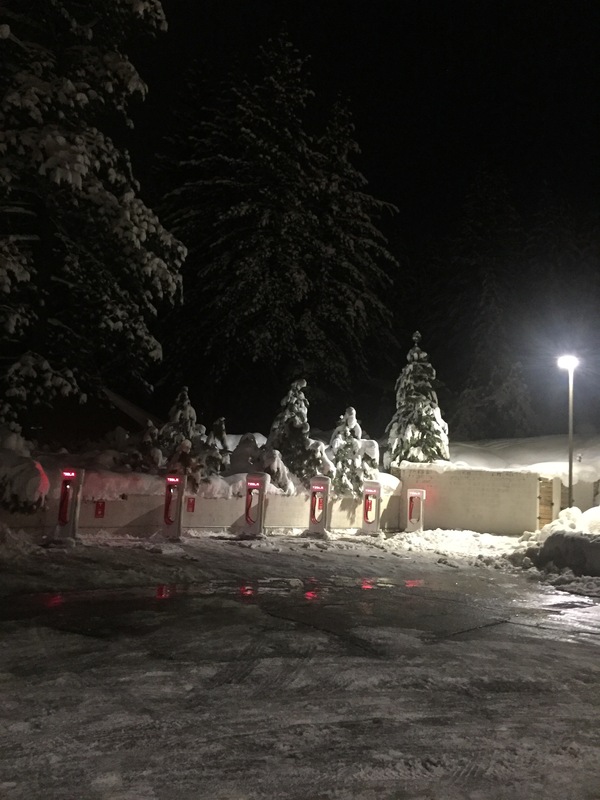 Stopped by the Truckee Safeway Supercharger a day after the biggest storm to hit Truckee in many years. Mounds of snow, a few stalls somewhat inaccessible, but not bad considering most of Truckee had no power less than 48 hours ago. As for my Model S 90D? All wheel drive, all season tires on 19″ wheels, heated seats, and an air suspension to rise over uneven icy roads. No problems and enjoyed passing the Prius struggling with chains in the middle of the road.